Getting solar energy into your home requires you to know the main components of solar energy. 1. Absorption of the radiation in half a conductor. 2. The creation of pairs of positive and negative charge carriers and temporary separation of different regions of the cell. 3. Passage of the separated charges, through electrical contacts, before load. A photovoltaic cell is obtained from a direct voltage, such as an electric battery. To match the cells to power household appliances, or to connect them to the mains, the voltage they generate must be transferred through a converter that converts voltage into exchange voltage. What factors can affect system efficiency and productivity? Cleaning the solar panels is important. In addition, high heat reduces the efficiency of the panels (temperature above 65 degrees on the panel). The desire to install the panels in a way that has maximum natural ventilation so that hot air will not be trapped behind the panel. Above all – accurate, professional and advanced planning of the system is the necessary condition for the efficiency and productivity of the system. Solar system design is a multilayered engineering design that combines solar architects, electro-optics engineers, and new generation electrical engineers who are familiar with this unique field that requires knowledge of semiconductor technologies and internal circuits of the panels and their integration into the solar system. 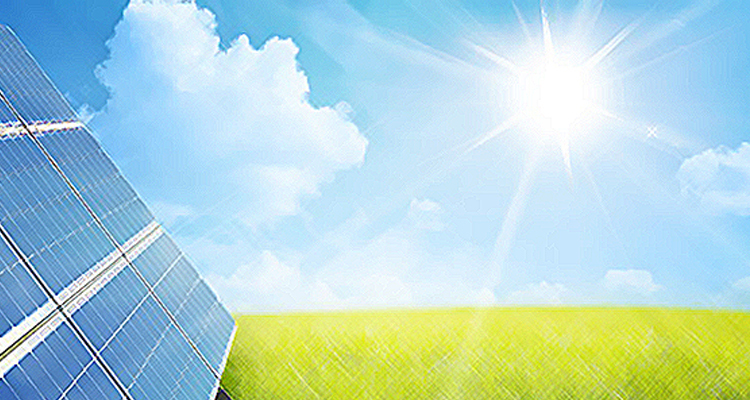 Smart solar design requires full recognition of the converter technology and the efficient way of pushing the power into the grid, optimizing the panels and merging different parameters throughout the year, both of the light flashes and the sensitivity of the individual panel to the different frequency bands of the light. Taking into consideration the direct beam flows, diffusion light and light flux are effective on the solar panel under varying shell temperatures throughout the year. The integration of knowledge into appropriate standardization and advanced methods of maintenance that maintain system stability and quality outputs over the years. In the process of planning solar systems, economic considerations are taken of the needs of the system and the needs of the customer, the priorities and the adaptation of an effective plan. The scientific tools for surgery are those that place the company at the forefront of technology and in consulting and solving problems for systems in Israel and abroad. Integration of the academic knowledge Working methods Experience in hundreds of systems and direct connection to the area plus constant investment in streamlining research and solar performance research in solar optimization alongside key engineers are the main strength of the company in system design. For each solar system, a three-dimensional model has been built for the system over the years, including shading light temperatures and electric analysis, along with unique electro-optic and electrical engineering tools for the company to improve efficiency and efficiency of the systems. What is a solar converter? A solar inverter is the solar power component that turns the solar current from DC to AC. The converter is built of a board cable and connected to testers – transistors that turn on and off and thus produce electrical waves suitable for the home electricity grid. The DC solar power is not suitable for the electricity grid. The function of the converter is to convert the electrical energy from a direct current to an alternating voltage. The smart solar design takes into account the capabilities of the converter that made the solar panel adaptable and deployed in the field. Suppose one panel is shaded. We do not want to connect all of them in a row because the system is deactivated. On the other hand, we would not want to connect all of them at the same time because then the flow will increase, and with it, the turnovers will be more expensive and the converter will find it difficult to enter into an operational medium. Solar power generation from solar panels is only the first stage, the second phase is a voltage converter – an inverter, the one that fits between the solar system and the electricity grid.